Patrick Moore's litigation practice focuses on civil litigation with significant experience in healthcare, medical malpractice, nursing home liability, transportation, environmental law, insurance disputes, product liability, employment law, criminal defense and plaintiff’s personal injury cases. 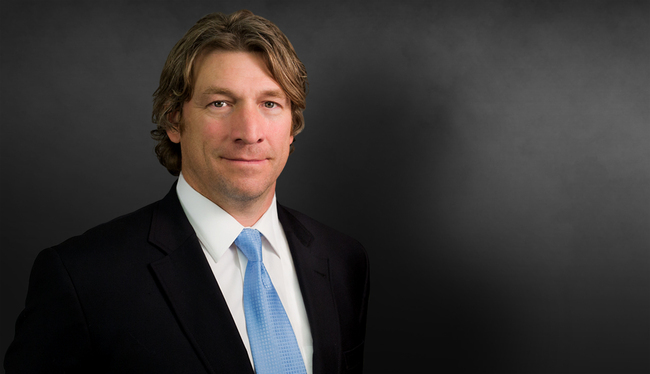 He has represented clients in litigation in Alabama, California, Florida, Georgia, Michigan, Nevada, Ohio, Pennsylvania and Tennessee, and has tried over 75 civil and criminal jury trials primarily as lead or sole counsel. Obtained defense verdict after 5 years in litigation and a 3-week jury trial in Federal Court as lead attorney representing Atlanta developer in a Clean Water Act case where the City of Mt. Park sued several developers alleging thousands of cubic yards of silt from upstream development had caused millions of dollars in damages to the city's lakes and wetlands. Assisted in obtaining defense verdict as local counsel for packing company of a product alleged to cause severe respiratory damage in bellwether trial for multi district litigation involving dozens of plaintiffs. Obtained multi-million dollar plaintiff's verdict in complex business dispute after two week arbitration in Los Angeles, California. Obtained plaintiff's verdict for all damages sought by client in construction defect case. Granted summary judgment affirmed on appeal for major car rental company in regards to insurance coverage dispute over $8 million consent judgment plaintiff attempted to enforce against client car rental company. Defense verdict for warehouse management company on charges of false arrest and false imprisonment in Cobb County, Georgia. Defense verdict in Duval County, Florida, for children's hospital in case involving misdiagnosed hematoma, resulting in paralysis of a minor. Obtained verdict below settlement offer in conceded liability case in Sanford, Florida, involving a two-year-old child with brain injury after being rear-ended by a truck while stopped at a drawbridge. Obtained favorable settlement below pre-trial offer in third week of nursing home jury trial in Memphis, Tennessee, involving death due to decubitus ulcers. Defended truck driver charged with murder in highly-publicized traffic death of Tennessee highway patrolman. Obtained a plea agreement for a reduced charge of vehicular homicide on the second day of the criminal trial. Additionally, obtained a favorable settlement after representing the trucking company at the civil trial of this case, where liability was conceded and a co-defendant was found to be 35 percent at fault. Obtained favorable settlement during second day of trial in Las Vegas, Nevada, while defending a major pipe manufacturer in transportation case involving death of four adults and two children in Barstow, California. Representing plaintiff, obtained $2.6 million verdict against gas station in wrongful death case stemming from gas station's negligence in allowing a third party to use gas pump as a weapon during an altercation. Award affirmed after oral arguments at 11th Circuit Court of Appeals. Defense verdict at bench trial in San Jose, California, for Internet advertiser in case involving claims of unsolicited and misleading e-mail advertisements. Obtained summary judgment affirmed by the Eleventh Circuit Court of Appeals in train derailment case where plaintiff claimed millions of dollars in damages. Residential construction defect arbitration resulted in dismissal of plaintiff's claims for more than $500,000, and contractor client received portion of their attorneys' fees. Obtained defense verdict in criminal trial where client was shot at by police and accused of aggravated assault on a police officer.